Χρόνος is an advanced time-keeping module with dual tap tempo clock, and dual tempo synced LFO. The first function is tap tempo: tap the push button to generate a clock, and adjust the tempo with the knob. 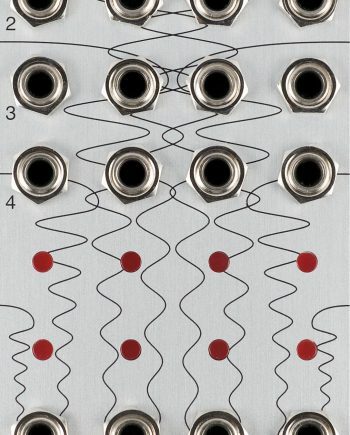 The second function is two tempo-synced, low frequency oscillators, each with two waveforms. One LFO provides bipolar sine or triangle wave, the other ramp or sawtooth. Two toggles let you switch between waveforms and one-shot mode. The two functions can be linked or used independently. By default the LFO is synced to the tap tempo, but an external trigger can be used instead. In one-shot mode it works like an envelope, and the trigger input starts one full period of the LFO. Χρόνος is Greek for Time, transliterated to English as Chronos. 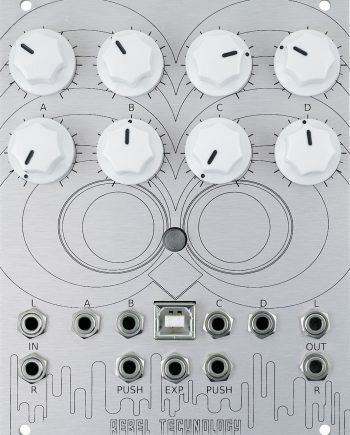 Χρόνος mkII is a completely redesigned module based on the previous Χρόνος mkI. The module has one tap tempo and bipolar LFO on the left, and a tap tempo and unipolar LFO on the right. The Mode switch has three positions. The Up position selects sine from the bipolar and rising ramp from the unipolar output. Down position selects triangle and falling ramp. The middle position selects one shot mode. With the toggle in either the up or down position, pressing the pushbutton repeatedly will start a sequence of trigger or clock signals of the same frequency being generated on the Tap-tempo output. The frequency, or tempo, can be turned up or down with the tempo knob. Starting with the tempo knob in the centre position, turning it all the way clockwise will double the tempo. Turning it all the way anti-clockwise will halve the tempo. 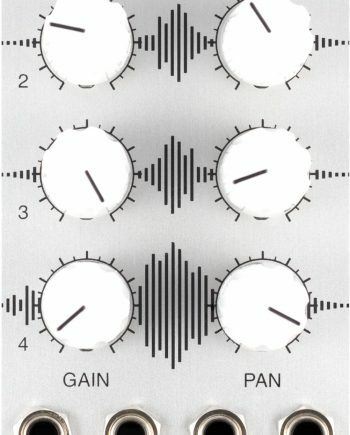 A new tempo can be tapped in with the knob in any position; the full adjustment range is always four times the tapped in tempo. With the toggle in the off (middle) position, the pushbutton can be used as a manual trigger generator. The tempo is still monitored, but the output sequence is not started until the toggle is switched. The tap tempo employs a carefully designed debouncing circuit to avoid false or duplicate triggers. The fastest tempo that can be tapped in is 78Hz, which corresponds to 16th notes at 293 beats per minute. The slowest tempo that will be recognised is 59.65 hours. If the input signal suddenly stops, the oscillator will simply carry on at the same frequency until another signal appears for it to synchronise to. Irregular input signals will cause the frequency to increase or decrease, having the effect of compressing or stretching out the waveforms. The phase of the output is not reset, giving smooth transitions and the possibility of complex output waveforms. Turning the Tempo knob will also change the frequency of the tempo synced oscillator, keeping both synchronised. The tempo sync expects a trigger or clock signal, but any reasonable signal without too much noise or harmonics will work. Signals from 4.65µHz to 1.25kHz can be accurately tracked. 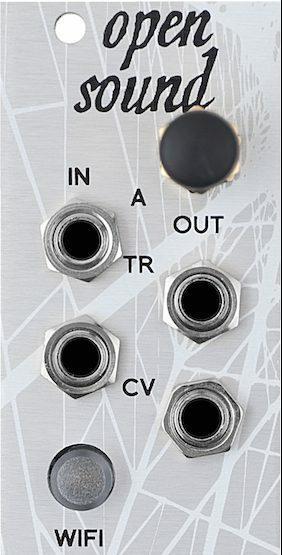 With nothing plugged in to the Tempo-sync input, the oscillator will synchronise to the tap tempo. One shot mode is selected by setting the mode toggle switch to the middle position. In this mode, the tap tempo pushbutton will work as a manual trigger. The tempo synced LFO can be triggered to generate a single period of the waveform, either by pressing the pushbutton or by a trigger signal going into the tempo sync input. The output will be the most recently selected waveform, at the most recently input tempo. The rate can be adjusted manually with the Speed knob. Χρόνος is Open Source and Open Hardware, published under the Gnu GPL.